I picked up running again a couple of months ago and one of the things I've noticed is that listening to audio can help a great deal. There are various possibilities here, you can either listen to uplifting music to help your performance or you multitask by listening to audio books. Everyone is different of course, but I find that listening to business or motivational books can be a great motivation to stick to your plan. When you're reading a good book you want to finish it as soon as possible - so if you combine this activity with running you have a good incentive to run on a regular basis and not to skip any of your workouts. Similarly, a great music mix can help to break the monotony and provide extra energy to run faster and farther. But one of the downsides of running with regular headphones is that there's always a cord bouncing against your body. It can be a really annoying feeling and it takes away some of the freedom of running. Fortunately, there's absolutely no reason to stand this nuisance any longer as there are a lot of great Bluetooth headphones on the market today! In this review I'm taking a look at the brand new Freedom 2 wireless sport headphones from Jaybird, these are designed for runners by runners. The second-generation Jaybird Freedom headphones promise the same great audio quality as the original - but with even better wearing comfort. The biggest change is that the silicone rubber-like ear tips and fins are no longer separate components. Jaybird created softer and more flexible combined tips and fins, which promise an even better fit while also making it easier to switch from under- to over-ear configuration. Additionally, the Freedom 2 also received the SpeedFit cord management system. The Freedom 2 cuts the cord between the digital audio player (or smartphone) and the headphones, but it still has a cord between the two headphones. If you desire even more freedom, Jaybird also has its brand-new RUN true wireless headphones. These are somewhat similar to the Apple AirPods, we will be reviewing the Jaybird RUN next month. Depending on where you live, the Jaybird Freedom 2 should be available towards the end of September or early October. The headphones ship in an attractive box with nice visual artwork. As mentioned above, this product is aimed at runners and it has a premium price. The package has a plastic wrapper but other than this it's designed in a fairly eco-friendly way. The model I got is the black/carbon version but there's also a white/gold variant. At the moment, these are the only two versions that are listed online. The previous Freedom headphones are available in more color options. Next we have the video review of the Jaybird Freedom 2. The video review gives you a better perspective of how the product looks and works, and summarizes the findings of the written review. This one is in Dutch but I included English subtitles. Compared with regular headphones, a Bluetooth version like the Freedom 2 is very compact. As the name of the product implies, the lack of a physical connection between the device that streams the audio and the headphones provides an extra degree of freedom. One big advantage is that you will rarely be annoyed by tangled up cords, there's almost nothing here that can get tangled up! The Freedom 2 consists of two earpieces with interchangeable tip-fins, an in-line controller and the SpeedFit system. The latter is a very genius system to adjust the cable length, it works really well. Check out my video review of the Freedom 2 to see how the SpeedFit system works. Jaybird also ships an optional shirt clip with the Freedom 2, you can use this clip if you want a little extra security. Jaybird claims the Freedom 2 is sweat-proof and water resistant, so you should not be afraid to use them on heavy workouts or while it's raining. The outer side of the earphone has a silver Jaybird logo while the inner side has an engraving that marks which side it is (L or R). The previous generation of the Freedom headphones offered greater eartip customization options as you could mix and match different tips and fins. Jaybird says they redesigned the eartip to deliver greater wearing comfort and the company now includes four different sets in the box. Size 2 is installed by default, if these are too big you can switch to size 1 or if they're too small you can try size 3 and size 4. The tip/fin combinations are made out of a silicone rubber material, it's soft and flexible but it really attracts a lot of dust and dirt. Here's a closeup of the metal earpiece. You can't use the headset this way, you always need to use the tips. Jaybird ships a little pouch carry case with the Freedom 2, you can use this to store the battery/charger and the extra eartips. Here we have the three extra tip-fins. The Freedom 2 is an in-ear style headphone so the tips go in your ear channel. The fins are designed to nestle against the small inner ridge of your ear, this gives the earphones a more secure fit. The Freedom headphones are designed for runners so ensuring they don't fall out of your ear while running at a brisk pace is a very important feature for this product. The in-line controller is located close to your right ear. The top and bottom buttons let you control the volume, while the middle button is the on/off button. Furthermore, pressing and holding the power button for two seconds will activate voice command. It's compatible with apps like Google Now and Siri. The microphone is integrated into the in-line remote and you can also use the device for phone calls. The rear of the in-line controller features a couple of what looks like gold-plated contacts. That's probably not a luxury considering these will often come in contact with sweat or other moisture. Jaybird promises a battery life of four hours and the charging clip/battery clip should be good for another four hours, resulting in a total of eight hours of playtime. The clip is about double as thick as the in-line controller, you attach it to the controller whenever you need to charge the earphones. It's a nice feature but the downside is the clip is very small so it's easy to lose it. Jaybird includes a small micro-USB to USB cable with the Freedom 2. You plug this cable into the charger/battery clip whenever you want to charge the extra battery and/or the headphones. The company recommends to use a computer as charging source and warns some USB chargers can produce a lot more power than is needed. Anything under 1A is regarded as safe but to get the most out of your battery you're also recommended to limit the charge time to 2.5 hours. Here's the Freedom 2's in-line controller with the charger/battery clip attached. Both devices have a little LED that switches from red to green when the battery is fully charged. After unboxing I tried out some of the tips but I found the default "size 2" seemed to be the best fit. I activated the headphones and discovered they're already charged about 80 percent out-of-the-box, so you can immediately give them a try. Every time you activate the Freedom 2 headphones, you're greeted with a welcome message as well as a spoken indication of the battery level. Jaybird rounds this notification to the closest 20 percent, for more accuracy you need to install the Jaybird app on your phone. The app provides a battery level indication within 1 percent. The Bluetooth pairing is really easy and the device can remember up to eight different devices. Make sure Bluetooth is enabled on your smartphone (or MP3 player) and press and hold the middle button of the Freedom 2 controller for four seconds. The headphones will confirm the headphones are connected and you're good to go. This step is only required for the first pairing, the next time both devices (and Bluetooth) are active they will automatically pair. It's really almost a simple as plugging a headphone into a headphone jack. The ear tips and fins feel very comfortable and the SpeedFit system provides a very easy, intuitive way to adjust the cord length. I started listening to some audio tracks and was immediately impressed by the Freedom 2, for the average user there's little to complain about. The soundstage is very good and despite their small size the earphones do pack a lot of bass. The in-ear tips provide a snug fit - so you only hear minimal background noise - and the earphones deliver a rich, warm sound. The audio profile of the earphones can easily be tweaked to your liking, Jaybird offers an app that lets you select between various equalizer (EQ) presents for different types of music. Additionally, you can create and share your own EQ profiles, or download new ones via the app. The next big test is running of course. Jaybird recommends under-ear usage for regular listening sessions and suggests to use over-ear for a more secure fit while running. I tried the over-the-ear position several times - but despite my best effort it just would fit properly, the eartips easily fell out of my ears. The under-ear position on the other hand worked really well for me. I've been testing the Jaybird Freedom 2 headphones for about a week and a half now and used them for several 5km runs. At first it took a little getting used to but the wearing comfort is very good. There's no cord that bounces against your body when you're running and there's very little cord noise. Almost the only thing you hear when you're running in a (not too noisy environment) is the music and the sound of your feet hitting the ground. If you're buying these earphones, be aware that most traffic noises and other noises in your environment will get filtered out. I'm not going to list this as a con as this is a feature of the in-ear type of headphones. The specifications say the headphones are sweat and water resistant and that's definitely a nice feature if you're going for a long or heavy workout. But do the earpieces stay put when you're running? On my first run with the Freedom 2 headphones I had some issues with this, but after getting to know them some better it improved. You need to insert them deep enough in your ear channel and I found that twisting and turning them a little can help to get a more secure fit. After a couple more 5km runs I can conclude that these earphones are unlikely to spontaneously fall out of my ear. Of course, this can vary greatly depending on the shape and size of your ear, so you'll have to test it yourself to be sure. The Bluetooth connection can be rated as very good, even with the phone in my pocket or a couple of meters away there are very little (if any) connection drops. Depending on the use, the battery life is about three to four hours. The battery clip doubles the battery life, but its bulky size somewhat ruins the aesthetics of the product. You get about an hour of extra playtime for every 20 minutes of charging and a full recharge takes about 1.5 hours. Once you go wireless you don't want to go back, headphones like the Jaybird Freedom 2 really offer a new degree of freedom. This is a well thought-out product for runners that can be used for other purposes too. The sound quality is great, the earphones stay well in your ear and the controls and the SpeedFit cord adjustment are both very intuitive to use. The only major con is the steep pricing. Check out these links and you might be holding the Jaybird Freedom 2 in your hands within a couple of days! Great pricing and return policy. 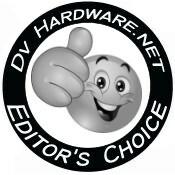 DV Hardware gives the Jaybird Freedom 2 headphones 9/10 and our Editor's Choice award.